AMD has revealed a rough GPU and CPU roadmap for the coming decade, confirming plans to release a 300W APU for the high-performance computing (HPC) market alongside the introduction of true simultaneous multithreading processor cores. Speaking at the PC Cluster Consortium in Japan late last month, as reported by local news source MyNavi, AMD Japan's Junji Hayashi revealed a roadmap for the company which offered a high-level overview of the company's plans. In slides released at the event, Hayashi revealed a roadmap GPU roadmap which suggested a next-generation GPU release in 2016 alongside an accelerated processing unit (APU) suitable for high-performance computing (HPC) use. This would be followed by a next-next-generation launch in 2018, with an APU capable of offering multiple teraflops (trillions of floating-point operations per second) of compute for the HPC market. These server APUs, Hayashi's slide deck explains, are designed to sit above the server CPU and below the FirePro dedicated graphics board segments. Offering much the same general-purpose performance as the company's existing Opteron family, the HPC APUs are being positioned by the company as being the logical choice for uses where GPGPU acceleration makes sense but there's no thermal envelope or room for discrete graphics. Power draw, however, will be high: Hayashi's comments suggested that the top-end HPC APU could draw between 200W and 300W at full load. Hayashi also revealed one more detail about Zen, the company's upcoming x86 architecture refresh: it will support true simultaneous multithreading, akin to Intel's Hyperthreading. 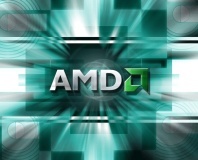 While the company's multi-core chips currently offer cluster-based multithreading (CMT), Zen is claimed to shift to a model which will provide improved performance by providing multithreaded integer cores - although full details, including whether this will apply to all Zen models or just selected variants in the range, were not announced. The event also saw Hayashi confirm that the first SkyBridge products, motherboards capable of using the company's x86 or ARM processor designs, will be launching before the end of the year.